Former Miami Dolphins, Florida Marlins, and Florida Panthers owner Wayne Huizenga died on Friday, and any time a soul passes from this earth there’s a sadness, and we pass long our sympathies to all of Huizenga’s relatives and loved ones. Huizenga bought the Dolphins and Joe Robbie Stadium (I’m not even going to start to look up whatever its corporate name is now) to go along with his fledgling baseball and hockey teams in 1994. He then used his ownership of the stadium to perform an accounting trick where he assigned all the revenue from luxury boxes and naming rights and parking to his stadium company, while charging his own teams rent — thus enabling him to evade league revenue sharing and to cry poor when it was time to spend money on players. Huizenga’s stadium may have been built with private money, but that didn’t stop him from extracting $2 million a year in sales tax kickbacks from the state of Florida, cash he kept receiving even after he sold the Marlins, threatening to sue if anyone tried to repeal the subsidy. When it came time to build an arena for the Panthers a few years later, he demanded at got $185 million from Broward County to do the deed. While Huizenga didn’t invent the player fire sale, he may have perfected it, unloading his team’s two best pitchers and almost its entire starting lineup within a year of the Marlins winning the World Series. This set a pattern for future Marlins teams, through Jeffrey Loria’s 2012 self-immolation to Derek Jeter’s Project Wolverine, all while cementing the Marlins’ place as a team that maximized profits by not trying to win games and instead focusing on collecting revenue-sharing checks. When Henry was demanding taxpayer money for a new Marlins stadium, Huizenga, by that time the team’s landlord, played along by threatening to evict them so he could have more room for cricket matches. Does all this make Huizenga a bad man? First and foremost, he was a corporate businessman, trying to extract maximum value from the assets he owned, whether his sports teams or waste-hauling company or Blockbuster Video, even if at the expense of the public or his fellow team owners or his team’s on-field success. 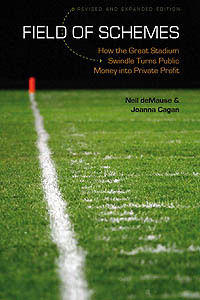 Whether this makes him a capitalist running dog or someone merely following his own rational self-interest depends on your political perspective, but it’s undeniable that his cash grabs were more innovative than that of most team owners, and had a more detrimental effect on the sports landscape. So while he may have exhibited “kindness and generosity,” as his former team tweeted last Friday, he also did all those other things too; and that, in all his complexity, is how he should be remembered by history. The consultants explored three alternatives: the Panthers extend their lease, and a casino is added; the Panthers extend their lease, and office and housing are added; and the Panthers leave, the arena is demolished, and housing, a casino and offices are added. The third option would bring in the most tax revenue and income to the county, at an estimated $391.3 million over 11 years, the report said. On the one hand, you could probably come up with more economically productive uses for the land than a hockey arena, assuming Broward County has much more time before it’s underwater. Though if the county ends up having to build the Panthers a new arena somewhere else to keep them after they opt out of their lease, that’s less helpful. That out clause really was as bad an idea as it sounded at the time. Remember back in December when the Broward County commission gave Florida Panthers owner Vincent Viola $86 million in cash plus a new out clause to escape his arena lease earlier, all on the reasoning that this would prevent the Panthers from leaving town? (It still boggles my mind to type that.) At least Broward got something out of the deal, it turns out: development rights to 140 acres around the arena that Viola transferred back to the county. And what do they plan to do with their new windfall? Now the county has to figure out what to do with the land, a vast asphalt sea of parking lots. “A putt-putt course?” county commissioner Beam Furr quipped Sunday, as consultants held their first meeting to sort out options. I haven’t kept up with the value of swampland in Florida, so it’s entirely possible that the property around the arena will be good for something, hopefully before the entire region is underwater. It would have been nice for Broward officials to figure this out before trading $86 million and a lease out clause for it, but hey, magic beans are better than nothing. The Broward County Commission voted 5-3 last night to approve giving $86 million in subsidies to the owners of the Florida Panthers, on top of the $254 million that it already spent on giving the team a new arena in 1998. Why, exactly, did they do this? A majority of commissioners said they were swayed by an analysis that showed the team was bleeding millions, and that if it were to declare bankruptcy or leave, the county could be on the hook for even more than $86 million. The county would lose about $3.6 million a year in tax revenue if the Panthers were to leave. The county would be on the hook for an extra $6.9 million a year in arena payments if the Panthers stopped contributing. But the bigger elephant in the room is in regard to that lost Panthers contribution to arena costs, given that the Panthers already have a lease that requires them to pay that money through 2028. And the new deal would allow the Panthers to leave as early as 2024 if team owners can show $100 million in losses over a seven-year period (which shouldn’t be hard, given sports bookkeeping) — though at least then the team would have to pay a termination fee, starting at $72 million and decreasing each year. Still, it’s hard to escape the conclusion that Broward County just paid Panthers owner Vincent Viola $86 million in order to change his lease to let him out of it earlier than he otherwise would have, on the grounds that they don’t want the team to leave. Just because something is a cliche doesn’t mean it isn’t true. The team has not threatened to leave South Florida, and is still obligated to fulfill its contract with the county, as-is. But County Attorney Joni Armstrong Coffey said at the October workshop that if the team were to declare bankruptcy, the county “wouldn’t necessarily be able to enforce” the contract. Well, sure. Also if the entire Panthers team were swallowed up by a micro black hole. It’s hard to picture Panthers owner Vincent Viola really declaring bankruptcy, though, especially since he likely makes more money on operating the arena than he loses on the hockey team. More to the point, the county won’t be able to better enforce the contract even if it gives Viola his $86 million — in fact, the new deal would give Viola an out clause after 2023. Which isn’t to say he’d use it, but does anyone think that he wouldn’t be back in another eight years to look for more subsidies? I mean, Viola may have spent $250 million on a money-losing hockey franchise just two years ago, but he’s not an idiot. The complex package of aid they’re seeking amounts to $86 million in tourist taxes, which are paid by hotel visitors, and will be publicly debated by county commissioners for the first time Tuesday. The Florida Panthers professional hockey team says it’s losing more than $20 million a year and needs more public funds to survive. The struggling team is asking for a rewrite of its contract with Broward county. Under the team’s proposal, the county would use additional tourism taxes to pick up $70 million in BB&T Center costs currently being paid by the Panthers. Instead of using the county cash to defray the team’s rent costs (which go to help repay the county’s construction costs on the Panthers’ arena, which was otherwise entirely publicly funded), Viola would use the money to defray his operating and maintenance costs for such things as paying the electric bill. Different line item, in other words, same team budget. Viola would stop paying half a million dollars a year in tourism marketing, and instead would give the county a free ad board and luxury suite, which would probably be more valuable if anybody ever went to the arena for hockey games. The county would get development rights on 88 acres of parking lots that the team currently controls. Share money with the county from any NHL expansion fees (“after the Panthers’ losses are covered”) and from any profits on eventual sale of the team. Share operating profits with the county, though if Viola’s previous plan is any guide, the team would be redefining “profits” to be sure there aren’t any to share. That’s all potentially slightly better for the public than Viola’s last proposal — mostly if the development rights are worth anything, though cue “swampland in Florida” jokes here. But it would still be $86 million in public money being handed to the local sports team owner just to keep him from losing money on the team he just decided to buy two years ago — and which is probably breaking even once the money-losing hockey team is balanced with the money-making arena, and which in any case is locked into a lease through 2028. Which Viola would now be able to break starting in 2023 under the new deal, if he were still showing losses (or “losses”). But county officials view the new request more favorably, saying it directs public money into the county-owned arena itself, not to the hockey team. The team’s costs for running the county-owned arena, that is, which the team gets all the revenue from, except any profits it can’t hide them on its books. The South Florida Sun-Sentinel doesn’t actually name any of these favorably-viewing county officials, so if you just want to shout “Man, are you guys dumb!” in the general direction of south Florida, that should suffice. You may remember Sharief as the mayor who earlier this year hired a consultant to see whether it would be cost-effective to meet Viola’s subsidy demands in order to keep the Panthers in town, notwithstanding that the Panthers’ lease runs through 2028 and Viola isn’t actually offering to extend the lease any if he gets his $78 million. County mayors rotate each year, so Sharief will return to being a regular county commissioner in 2015, but she took one last shot at some publicity with this Panthers announcement, which included “a preliminary study that shows the BB&T Center is worth $450 million, but would be valued at just $60 million without the Panthers.” Study not actually included on Sharief’s website, but she does give her phone number and suggest that readers call with any questions, so feel free. Panthers owner Vincent Viola still wants $80 million from Broward County to make it worth his while to keep the team in town — despite a lease that runs through 2028 and the fact that he still makes money on the arena operations despite nobody going to hockey games — but at this point you have to wonder what he’d do with it to get people interested, unless he just stands at the doors handing out twenties to anyone who agrees to watch this strange “hockey” thing. It is no secret that the Panthers and BB&T Center have lost tremendous amounts of money over the last dozen years. We are working hard to address this situation, which we believe we can do with the support from our loyal fans, our business partners, the business community and our community-at-large. In other words, “Only you can help us meet our goal of sticking around.” The only thing missing is the offer of a tote bag. You might not be able to tell from her @bestmom39 handle, but Barbara Sharief is mayor of Broward County, and she here seems to be indicating that she’s asking an economic consultant to do a cost/benefit analysis of letting the Florida Panthers move out of the county rather than giving them $80 million. How much the Panthers’ presence is worth to Broward is a reasonable analysis to ask for — though given that the Panthers’ lease isn’t up until 2028, and Panthers owner Vincent Viola isn’t actually promising to stay any longer that I can tell in exchange for the $80 million, it’s worth wondering if maybe Sharief is asking the wrong question.